Google-eyed chocolate monster cupcakes for Halloween! 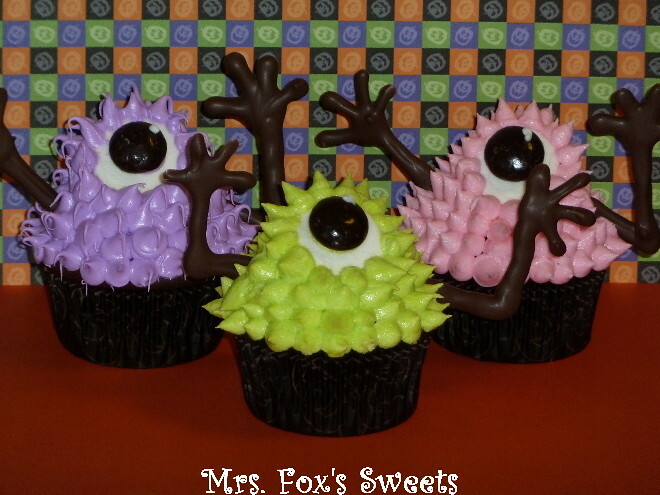 Blogger Mrs. Fox's Sweets made these fun googly-eyed monster cupcakes and shares a bit of her process, with a little help from the video tutorial below by Hello, Cupcake! and What's New, Cupcake? authors Karen Tack and Alan Richardson (who are going to be sharing cupcake decorating tips on our August 2012 Cupcake Cruise). Via Flickr.